Are you already hearing the wedding bells? Probably, it’s time to tie the knots with your childhood sweetheart. If you want to get married in a faraway land, consider London. The metro city has a good number of lively destinations for wedding. The underneath destinations will surely catch your attention and certainly impress your going-to-be bride. Cafe de Paris is licensed for civil ceremonies and wedding with a unique joie de vivre. This is a West End restaurant and nightclub opened in 1924. Situated in the West End, this London nightclub and restaurant exudes the opulence of Paris. The interior is stunning, especially chandelier. Coming here for wedding is definitely a great decision. Look at the sprawling garden teeming with beautiful flowers that exude sweet aroma. Who can deny this place when it comes to tying the knots with their love of life? Say “I Do” in the backdrop of magnificent garden scenery. 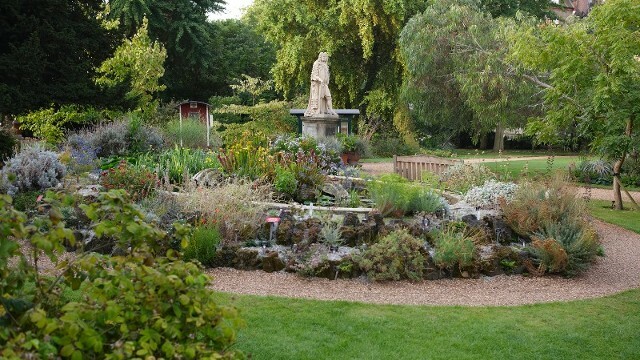 With a maximum accommodation up to five hundred guests, Chelsea Physic Garden is considered as one of the best places to get married. It is also marked as a tranquil place and attributed as a fairy-tale wedding spot. It is imprinted all over the garden. The garden is located on Royal Hospital Road. Spacious, delightfully decorated, Century Club is simply perfect for couples. Located in the heart of Soho, Century Club is for them who seek an elegant yet contemporary ceremony. The interior is aesthetically designed, well suited for parties. Ask your guests to immerse in champagne and enjoy the ambiance. Rustic and modern, Devonshire Terrace is an ultimate amalgamation of both worlds – a big thanks to its location a stroll away from Liverpool Street. Devonshire Street is a sophisticated modern European restaurant.